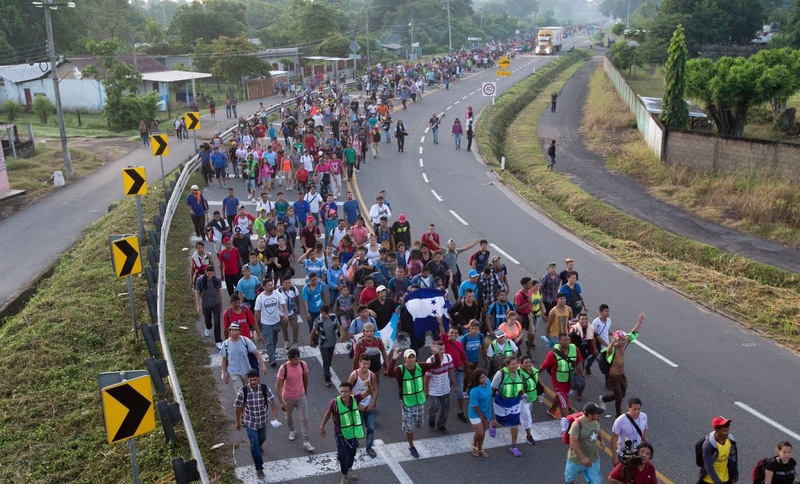 The Trump administration has been paying undercover informants in the migrant caravan moving toward the U.S. border in an effort to gather intelligence, NBC News is reporting. DHS has also been monitoring text messages between members of the caravan that have been sent using the communications app WhatsApp, according to network. So far the "intelligence" has been a typical US intelligence operation by being way off. NBC News noted that DHS officials said Monday that their intelligence led them to believe that migrants were planning to rush the border at the San Ysidro Port of Entry, which is near San Diego. That prompted Customs and Border Control to close traffic lanes near that port of entry on Monday, but the influx of migrants never occurred. Hey, they are actually trying to protect the country. About time!